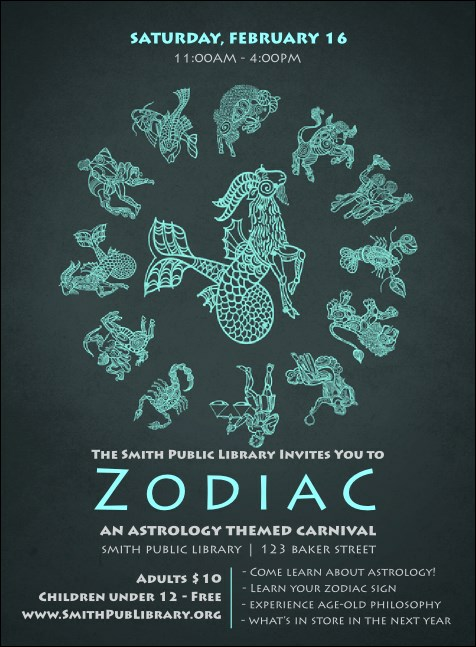 Appeal to each of your guests' personalities with this inspired Zodiac Invitation. Printed on high quality card stock, this invitation features a rich blue-grey background with a circle of Zodiac signs surrounding a Pisces/Aries hybrid, symbolizing the interweaving of the end and the beginning. Create unity in your event planning with a Matching Event Kit from TicketPrinting.com.